Lots of cooking options in one appliance. This Smeg model has loads of cooking space, making it ideal if you’re a budding chef and want something professional in your kitchen. 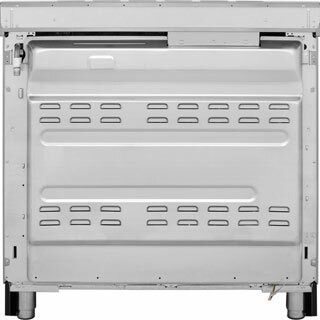 The two electric ovens combine to give you a total 95 litres of space. 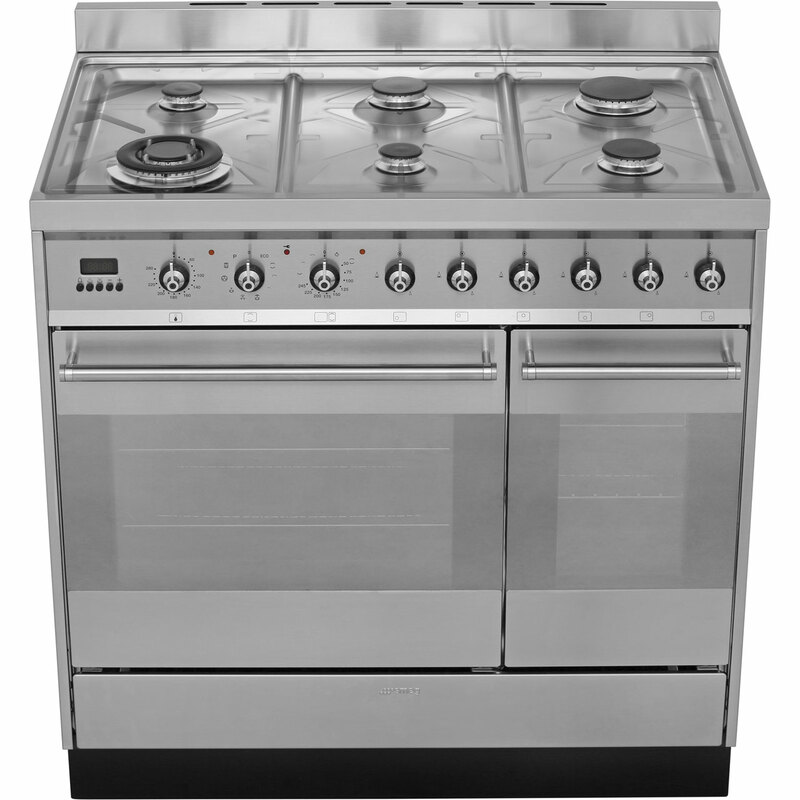 Plus the hob has 6 gas burners, providing loads of room for your pans. At 90cm wide this model is bound to be the main focal point in your kitchen. And with a stainless steel finish and sturdy cast iron pan supports, it’ll really look the business too. 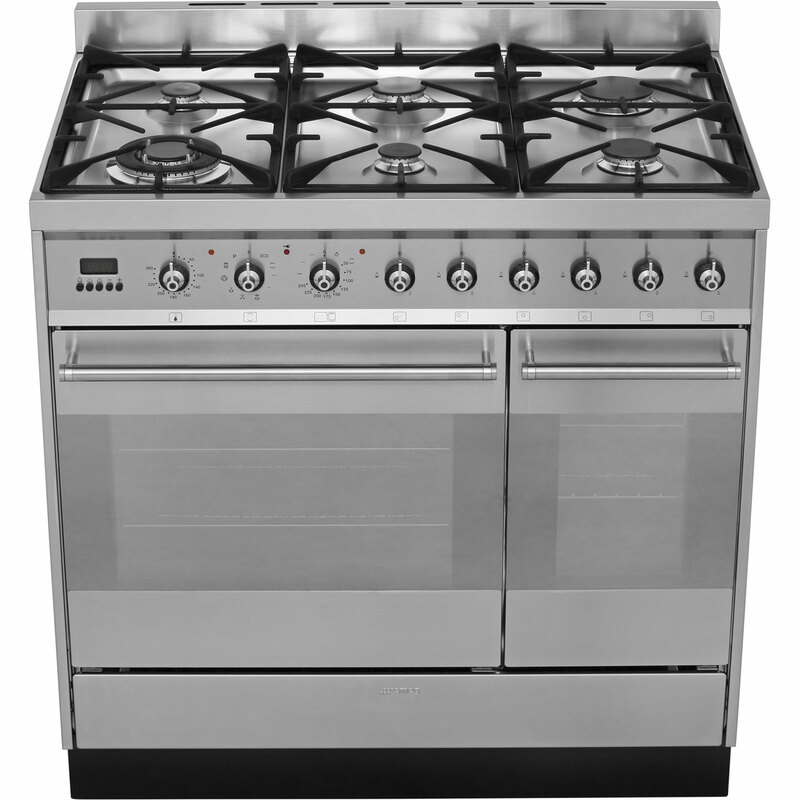 "The range cooker is good value for money. 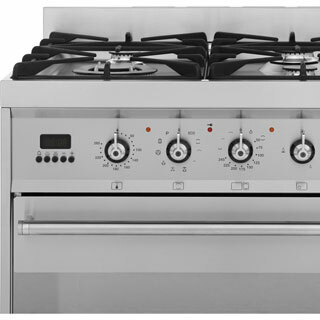 The separate oven and grill functions allow for an efficient cooking session. It is easy to use despite all the dials as the instructions and markings are very clear. 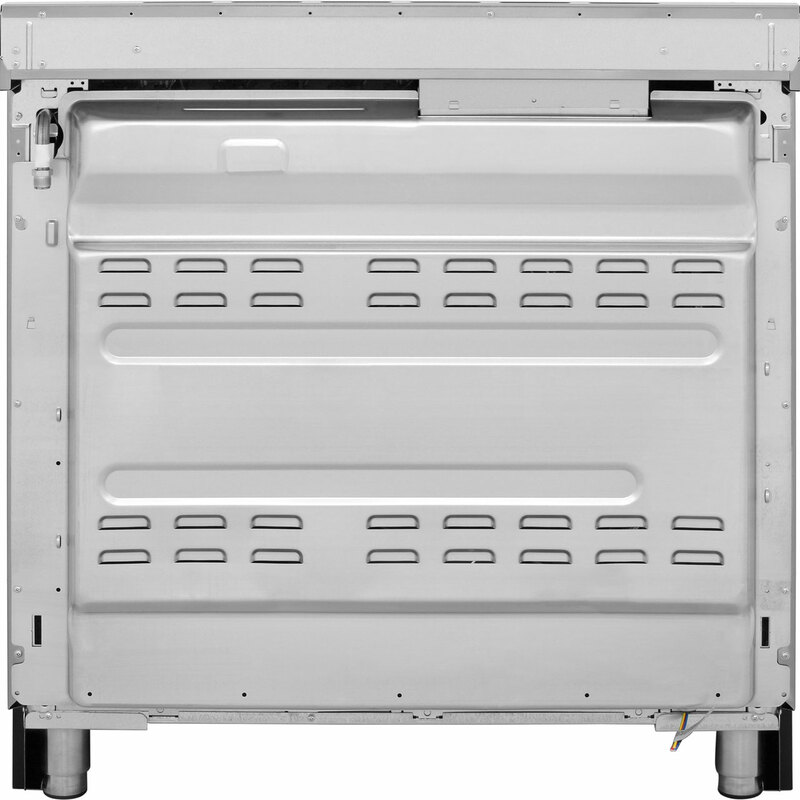 Afterwards, it’s technology and materials allow it to be easily cleaned. 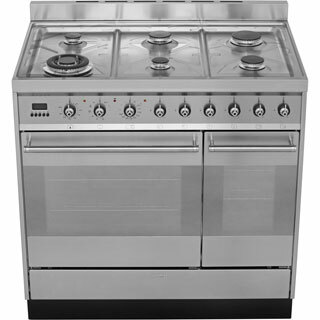 The only disadvantage is that the design of the back of the cooker means that it is not flush with the counter tops ie it sticks out by a fraction compared to the old version we had of this appliance. 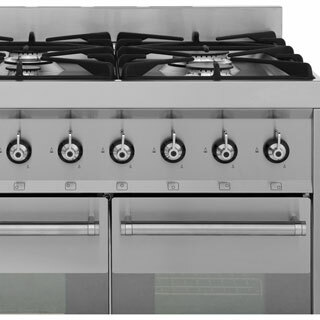 That said this is an easy fix as we are going to get our gas man to move the connector inside a cupboard (if he can) so it is line with the units...being picky! 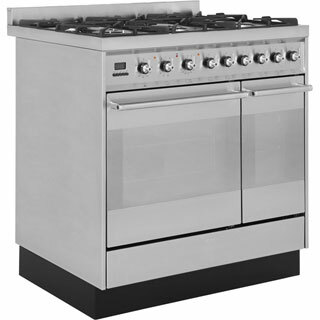 All in all good value for money." "Brilliant and does what it should, getting used to the different functions but very well put together and beautiful." 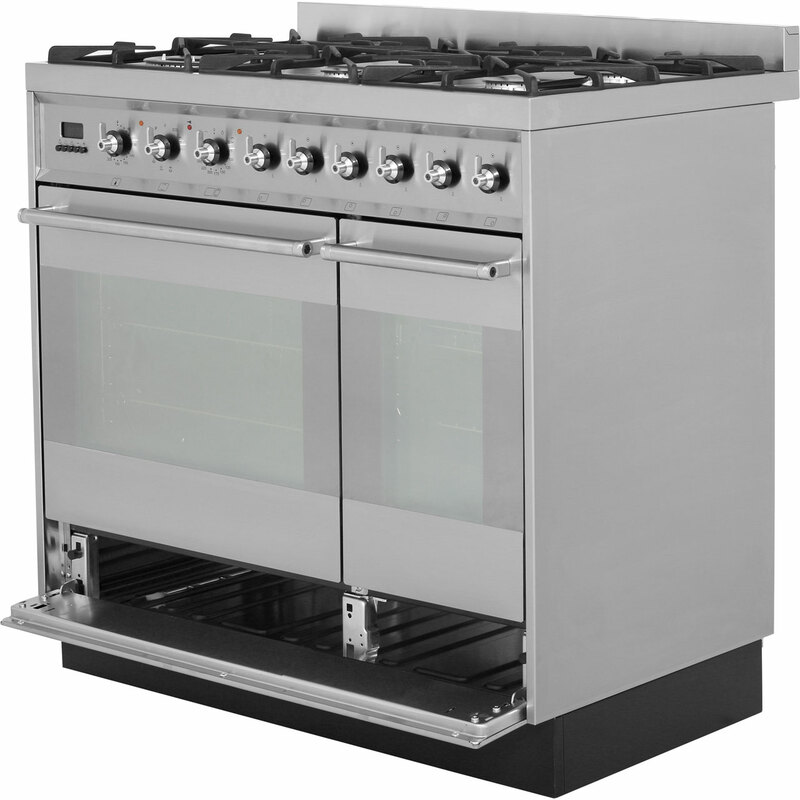 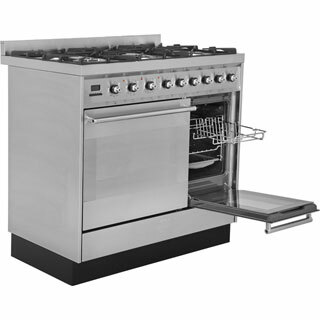 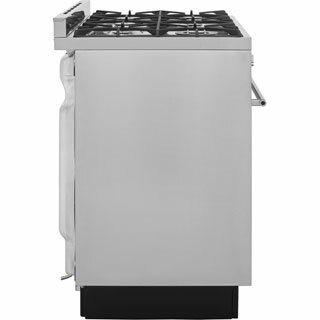 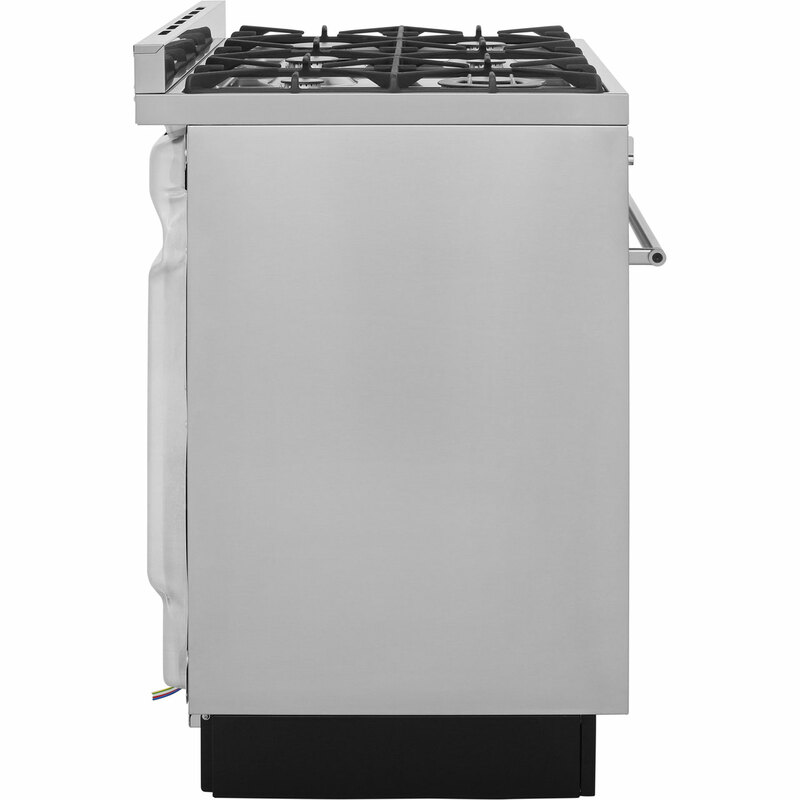 "This is our second SY92PX8 and it's a great cooker. 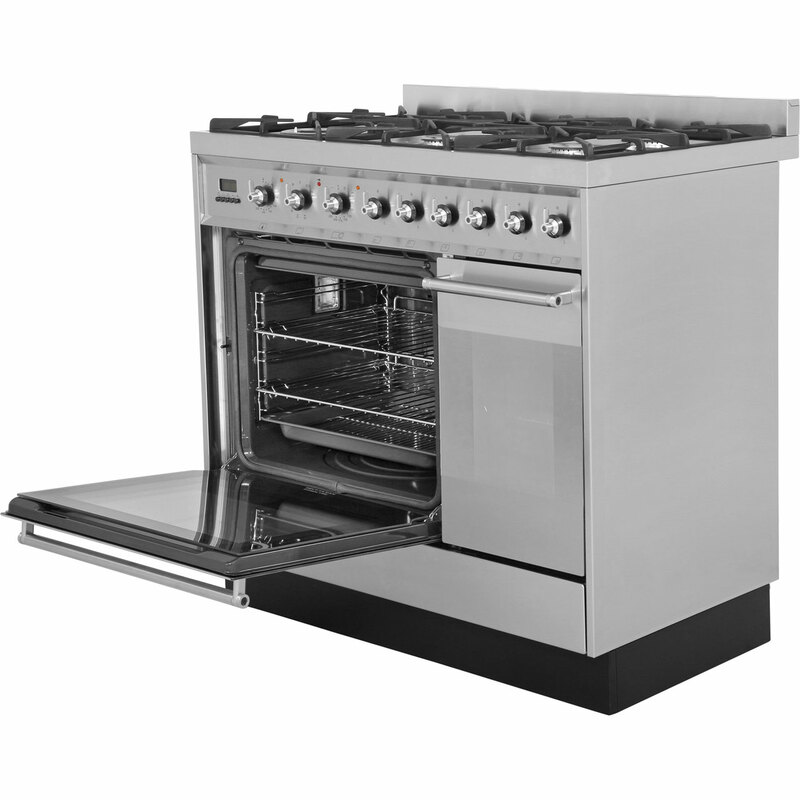 AO delivered and installed and left it all working and set-up, however within a few days the oven had developed a rattly fan and then the second over stopped working completely. 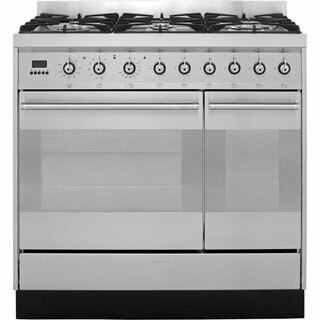 We called SMEG and they had an engineer out within a couple of days who resolved both issues quickly and efficiently. Now the cooker is working great, it might be more expensive than a Rangemaster or other brands but you really notice the difference when you're using it - the power and consistency of the burners, the pre-heating time and the high temperature it achieves. " 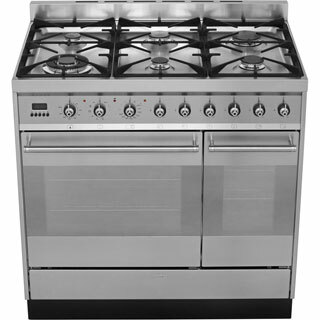 "Very pleased with the cooker, it replaced an old smeg cooker so it's easy to use, just a little bit annoyed it still has the ring and cooker info transferred on as it rubbed off my last one when it was cleaned! It should be embossed on for the price. 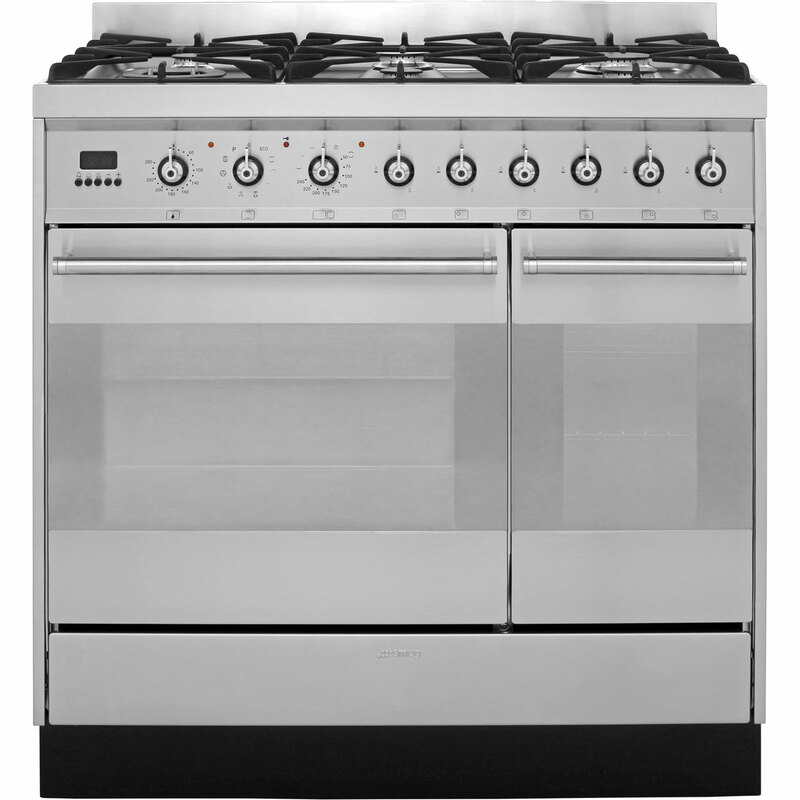 This was why I gave the build quality 3 stars "
"was stunned compared to my old cooker how much quicker this cooker cooks things"
152 of 152 people found this review helpful.